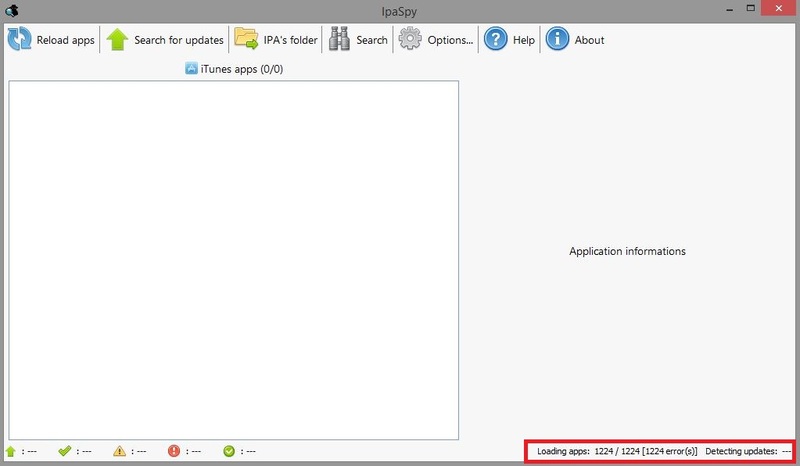 IpaSpy is a tool that gives you technical informations about your iPhone, iPod or iPad applications. It is able to detect if there are any updates available for your applications (IPA files), regardless if they are original or cracked. Edited by ipaspy, 06 December 2015 - 01:02 AM. This will be available in the next version that will be release soon. Thanks to Freddy for it's great work! All ipa searched and all ipas give error. Can you have a look to the log file (ipaspy.log) and tell me if you find something wrong inside. Your IPA files are normaly compressed like zip files? Can you try to copy one or two IPA files into another folder (ex: D:\IPA) and give to this folder all rigths. I think that your problem is due to right problems.